Fiber Flux: How To Decoupage A Foam Display Head! How To Decoupage A Foam Display Head! 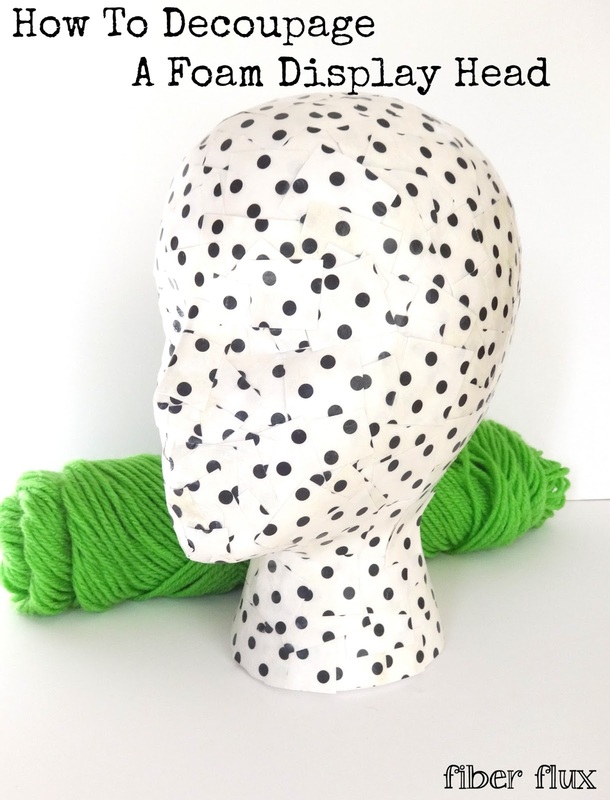 I see lots of you using these foam display heads for your knitted and crocheted items for photo props or craft fairs. Here is a way to easily give your displays a little extra, make it match your overall theme or make a few for each holiday or season. This project is a very inexpensive way to add a fun custom look to show off those pretty handmade items! Paper (scrapbook, tissue, gift wrap or decoupage paper) Just be sure the paper is not too thick as it will make it more difficult to wrap around the curvature of the head.